This was posted by MedPage and AACE last week … some exciting news from Dr. Ed Damiano. He’s working on a proposal for a year-long study (with 480 participants, 160 of whom will be belong to a control of usual care) to compare outcomes of HbA1c and mean CGM levels. He even commented on the cooperative approach by the FDA on designing the device. Perhaps we could offer up our support group for this study? Would you try it? I KNOW I would, in a flash! NASHVILLE — The developer of a bionic pancreas came here to deliver good — if early — news, and he did just that before a rapt audience. 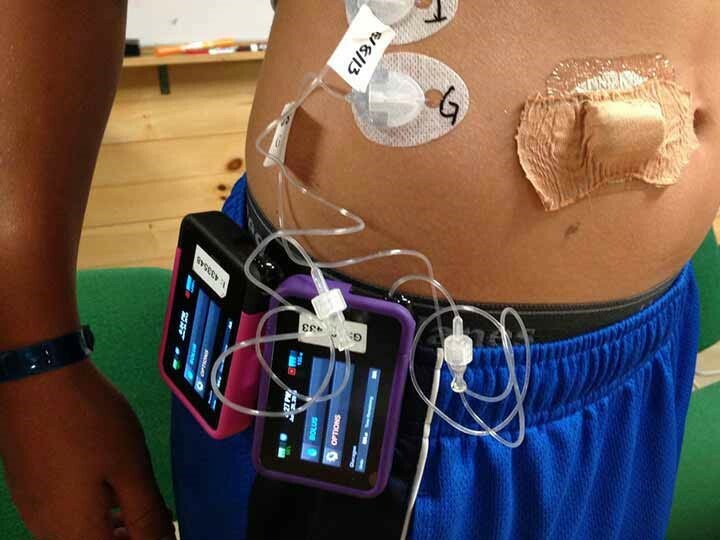 The artificial pancreas — which automatically regulates insulin levels and dispenses glucagon and insulin according to an algorithm — improved glycemic control and led to less hypoglycemia in a small, short-term trial of adults and in a separate trial of pre-teens. Damiano was the first speaker at this year’s AACE conference — probably the first biomedical engineer to lead an AACE conference — said Mack Harrell, MD, the president of AACE. And he played that novel role well: dressed in black shirt and jeans, he paced the stage, liberally using terms like “synergy” and “integration” and topping his presentation with a high-production-value marketing video that touted the bionic pancreas. He also shared pictures of his son — who at 11 months was diagnosed with type 1 diabetes. The device is an amalgam of several different parts: a Dexcom monitor, two Tandem infusion pumps, and an iPhone accessible algorithm — the user carries the phone. Damiano said he tested kids at summer camp because their active lifestyle would test not only the algorithm, but the durability of the device itself. “They’re not exactly showing proper respect to this device,” he said. And a study by Yogish Kudva, MD, from the Mayo Clinic, and colleagues, found that cybersecurity is not where it should be for artificial pancreases. “We suggest that, to date, the essential concept of cybersecurity has not been adequately addressed in this field,” concluded the authors of that paper. He added that they’ve hired a security expert to help them. “They’re taking a very different attitude from what people have expected them to do,” he said. Damiano and his team must build a single device in which all of the components come together in order to move forward. He said that they are working with industry to design the device. He added that it will be at least 3 years before the device is available. When asked to speculate about the cost, he said it would be slightly more expensive than current devices because it needs two chambers — one for insulin and one for glucagon — at around $8,000 to $9,000.